Signature’s fleet of Aston Martin self-drive vehicles offer clients a unique way to experience the best of British engineering. As one of the most iconic car marques in the world, each model is exquisite in design and offers performance car hire enthusiasts a thrilling drive experience. All our Aston Martins are bought knew and include the highest specifications to ensure your self-drive car hire experience is one you will remember for a lifetime. Confident, sophisticated, you will feel like a free spirit when driving one of our Astons. Open up a new world of exhilarating journeys by hiring our performance Astons on a self-drive hire basis. 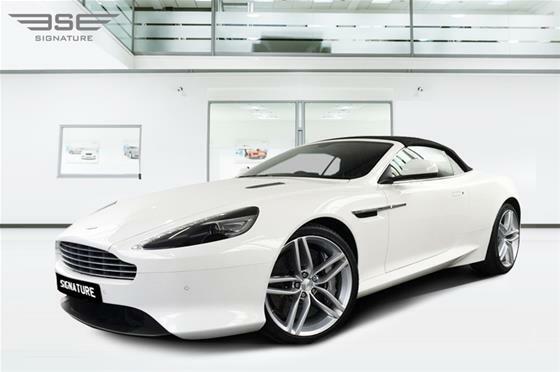 To see which Aston Martin suits your car hire needs, simply click on the model above for prices and further information. Alternatively call one of our experienced customer care advisors on 0207 118 2244 who can talk you through all the benefits of each model we have on fleet in our London showroom. Aston Martin Lagonda Limited is a British manufacturer of luxury sports cars, based in Gaydon, Warwickshire. The company name is derived from the name of one of the company’s founders, Lionel Martin, and from the Aston Hill speed hillclimb near Aston Clinton in Buckinghamshire. From its inception in 1913 to its 100 year anniversary in 2013, Aston Martin has proven to be one of the most consistent brands in terms of quality and comfort. In a long and distinguished history, Aston Martin has seen many changes but they are still passionate about the cars they produce and they know this is a passion shared by all Aston Martin enthusiasts. All of their sports cars will continue to be hand-built and bespoke but using high technology processes in a very modern environment. A luxury sports car should always be refined yet performance-enhanced which is exactly what the models of Aston Martins achieve. The Aston Martin ethos hold firm today. The company still believes that a sports car should have a distinctive and individual character and that it should be built to the highest standards and be exhilarating to drive – many things have changed over the ninety years since Aston Martins birth, but those goals are still very relevant to us today. Aston Martin’s identity is twinned as being a luxury sports car that was immortalised in the James Bond films. From the Aston Martin DB5 which was in Goldfinger and the latest release, Skyfall, Aston Martin has proved that building a James Bond Car will ensure the marque is remembered forever. Aston Martin’s blueprint involves razor-sharp engineering, interior perfection and an engine that just won’t stop. The unique DNA of Aston Martin is assembled by talented designers and engineers who have now recharged the supercar industry with their fresh ideas. With nationwide access available at our Aston Martin hire showroom in London, hiring an Aston Martin in the UK is easily achievable for all. Fly without wings from the luxurious cabins of Aston Martin sports cars during your Aston Martin self-drive rental. Remember that an Aston Martin also makes a great Wedding car hire option for the groom too, offering you another way to explore the brilliance of this marque. Aston Martin Testimonials will prove the strength of the brand for years to come. An Aston Martin combines three important elements: power, beauty and soul. Through the rental experience, the aerodynamic experience of driving an Aston Martin provides vivid memories for sports car enthusiasts. 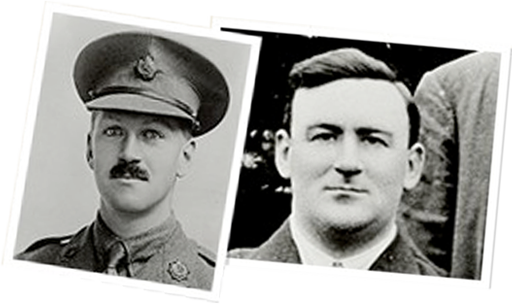 Aston Martin was formed in 1913 by Robert Bamford and Lionel Martin. The two made vehicles for racing events and were inspired to make their own cars through Martin's interest in racing around Buckinghamshire's Aston Clinton hills in England. Over the rest of the decade the two worked on their cars and in 1921 the Aston Martin company entered a competitive race for the first time. Prior to World War II Aston Martin did not make many cars for public use. The company was devoted primarily to racing and the group entered various racing cars for endurance races like the Le Mans 24 Hours race. In 1947 the company was bought by David Brown. While the company continued to make cars for racing purposes Brown introduced new cars that would be available to the public in the DB line. The line wouldn't truly get into popularity until 1963 when the DB5 was introduced. In the 1960s Aston Martin's popularity took off thanks to Ian Fleming's James Bond films. Fleming gave his secret agent character an Aston Martin car in many of his books. Aston Martin was majority owned by the Ford motor car company for a period of time in 1987 and the Virage line of cars was introduced around this time. The company would also return to racing in 2005 under the Aston Martin Racing line. The history of Aston Martin is textured and rich, as you would expect from any luxury car manufacturer. Founded in 1913 by Lionel Martin and Robert Bamford, the marque was first known as Bamford & Martin and eventually took its name from Aston Clinton, a place near where Martin used to race vehicles. David Brown was a business man who stepped in later years to energise the company. His initials DB cover many of the popular models today such as DBS to honour his work at Aston Martin Lagonda Limited. Brown purchased Aston Martin and Lagonda to form the company that still goes by the same name today. From its rich history, Aston Martin has always been part of the racing world and continues this today with Aston Martin racing. 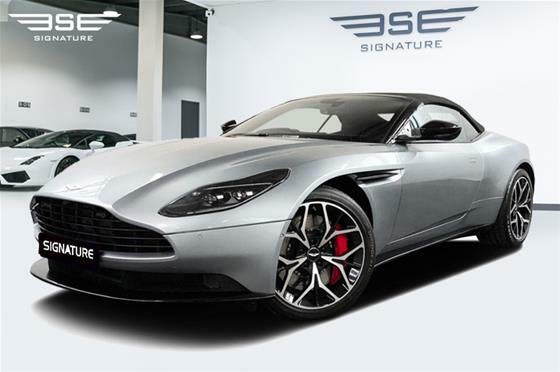 The future is still being written by Aston Martin thanks to a private equity stake by Investindustrial. This investment respects the history while gearing up for an exciting future for the brand. Today the company continues to build Aston Martin cars by hand in new state of the art facilities. Perhaps the most famous Aston Martin was the specially equipped Silver Birch DB5 that starred in the James Bond film “Goldfinger” and in standard form in “Thunderball”. The DB5 made a comeback to the big screen in the 1995 film "GoldenEye", and has had a cameo role in subsequent Bond movies. For Bond's 20th adventure, he returned in the Aston Martin Vanquish. Following the success of the Vanquish in Die Another Day, 007 gets use of Astons latest flying machine the DBS for his missions in Casino Royale and Quantum Of Solace. Aston Martin calls its connection with the James Bond films ‘an iconic relationship’ as we can see from films like Quantum of Solace, Casino Royale and Die Another Day. From popular films like ‘On Her Majesty’s Service’ and ‘Skyfall’, Aston Martin has become synonymous with being the perfect car for the big screen. With many Aston Martins in Movies, the cars like the DB5 scintillate on the cinema screen while the exterior colours such as pale blue look smouldering. James Bond Cars tell the story of the film as it is happening – Aston Martin adds accents with every new Bond film that comes out. Enjoy James Bond 007 Aston Martin while you watch these celebrated films.